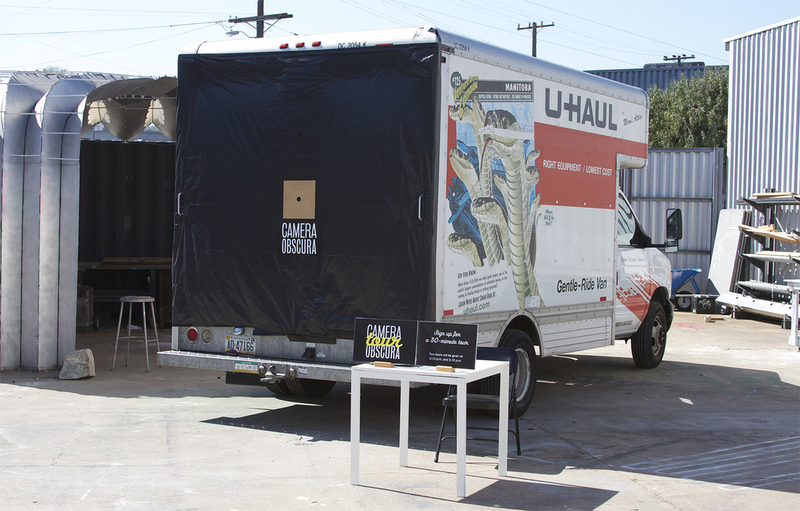 Mismar built a camera obscura in a U-Haul moving truck. Performing as a (weasel) tour guide, he was joined by a group of tourists who sat in the back of the truck, inside the camera, while the city was projecting on them as they toured its streets. The tour addressed snippets of ideas, from nomadism and homelessness, to gentrification, surveillance, and romance in public space.